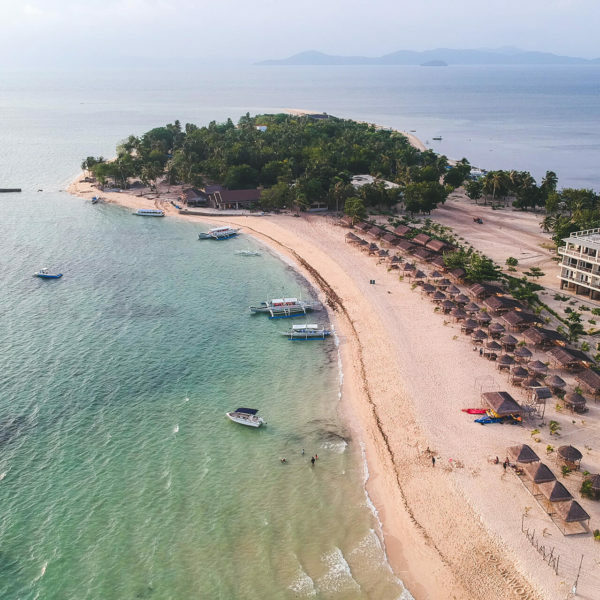 We updated this post for 2019 and added 10 new restaurants and cafes that you will surely love! 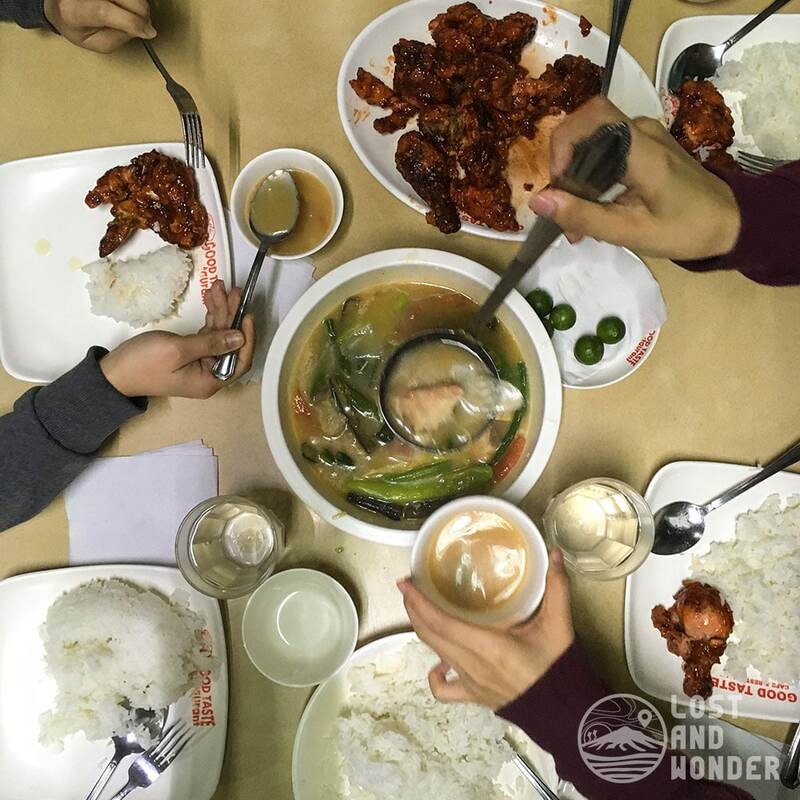 Check out our list and plan your food trip in Baguio City now. Travel tip: The easiest mode of transportation around Baguio City is via taxi/cab. If you opt for a cheaper alternative, we will also show directions on how to visit these restaurants via jeepney. Glenn’s 50s Diner – Big Serving, Big Tummy! 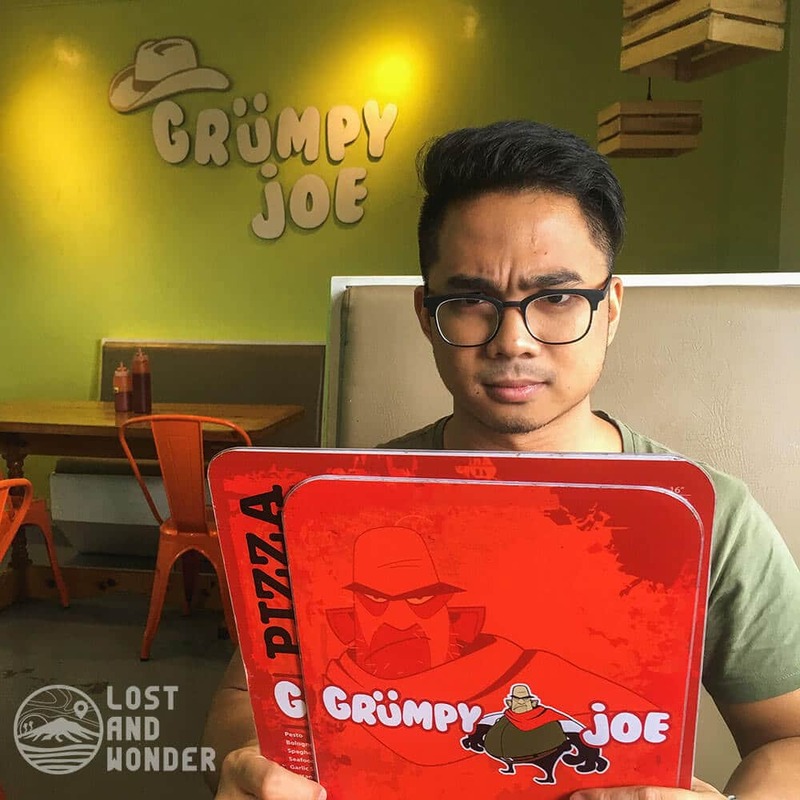 Grumpy Joe – Hangry? Then Be Happy! Te Quiero Tapas Bar and Restaurant – Offers Breakfast Buffet! 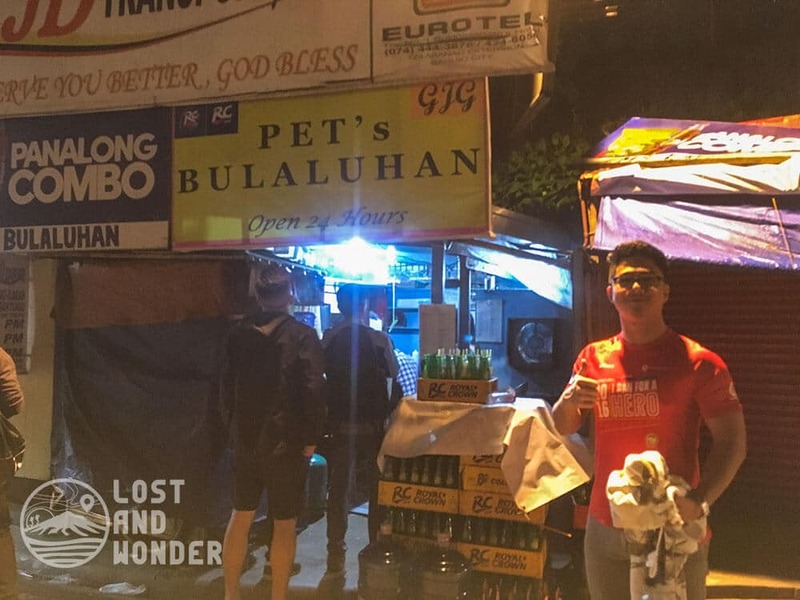 Pet’s Bulaluhan – Best Bulalo in the City! Canto has been shifting locations in the past year, and I first tried their cuisine in Ketchup Community near Wright Park. Today, they are now located in Kisad Road near Burnham Park with a more spacious and newly designed restaurant. Wherever they go, the crowd always follow them for their tasty recipes and enormous serving. 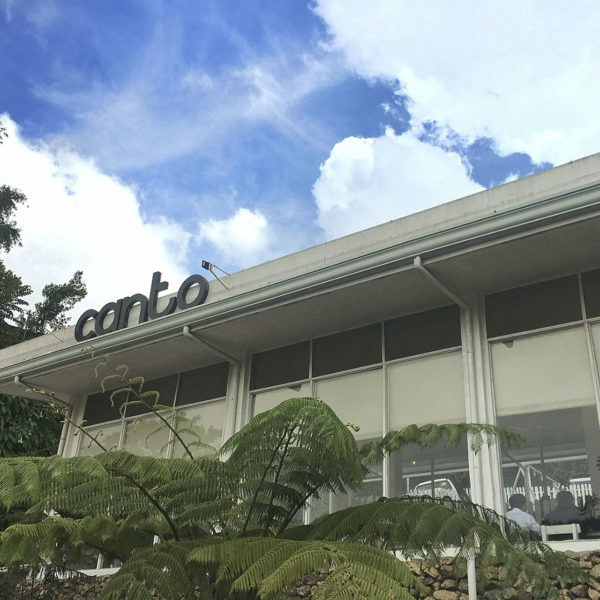 If you’re going to visit Canto, we recommend their lomo ribs, a bestseller in town. It’s pork ribs are grilled to perfection and bathed with flavorful barbecue sauce partnered with vegetable salad and mashed potato. 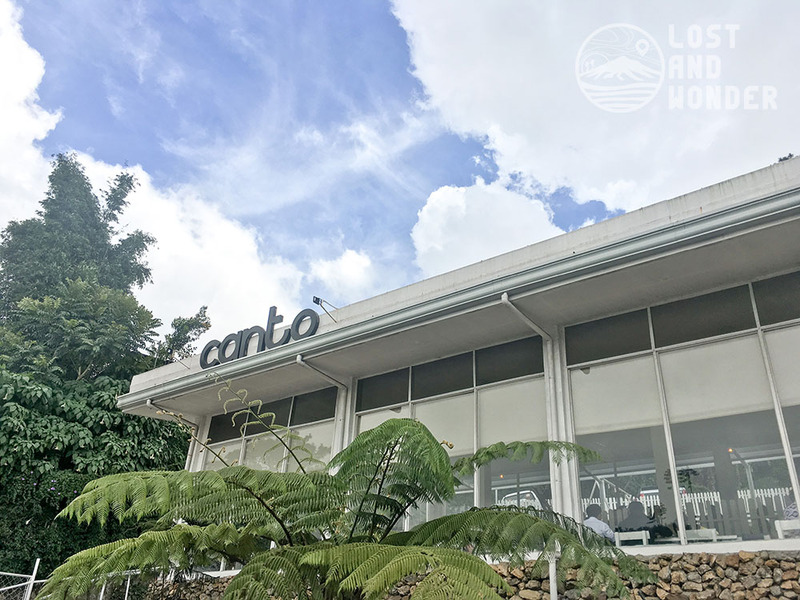 Canto Bogchi Joint is located at 25 Kisad Road, Baguio City, Benguet, Philippines, 2602 and they are open every Mondays to Thursdays – 10AM to 9PM, and Fridays to Sundays – 10AM to 10PM. Click here to go back to the top. Read more about our experience in Canto Bogchi Joint here. The first time I tried this place was in 2017 and their menu prices are shockingly cheap. Good Taste Restaurant is perfect for family gatherings and big groups; it’s also open 24/7. 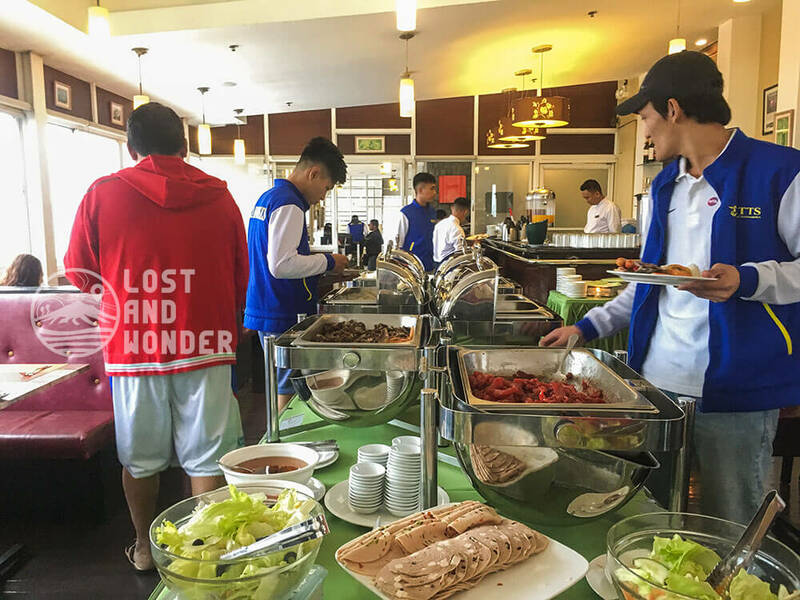 Whenever you arrived at Baguio late and famished, this restaurant is always ready to serve you. Pork Sinigang and Buttered Chicken. We ordered their sinigang baboy (tamarind based soup with pork meat and vegetables) and buttered chicken for 5-6 persons; and we only pay less than PHP 500! When it comes to affordability, Good Taste Restaurant is king! Click here to go back to the top. 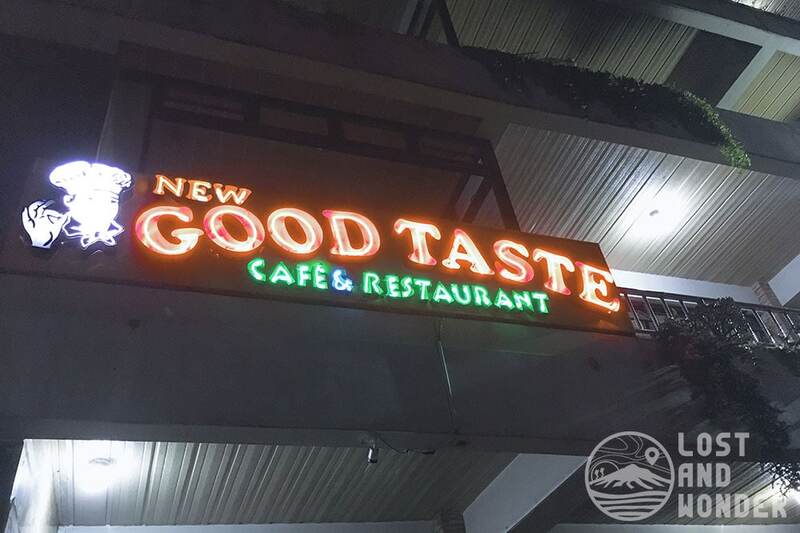 Good Taste Restaurant is located at Carino St., Corner Otek St., Baguio City, Benguet, Philippines, and they are open for 24 hours a day, 7 days a week. 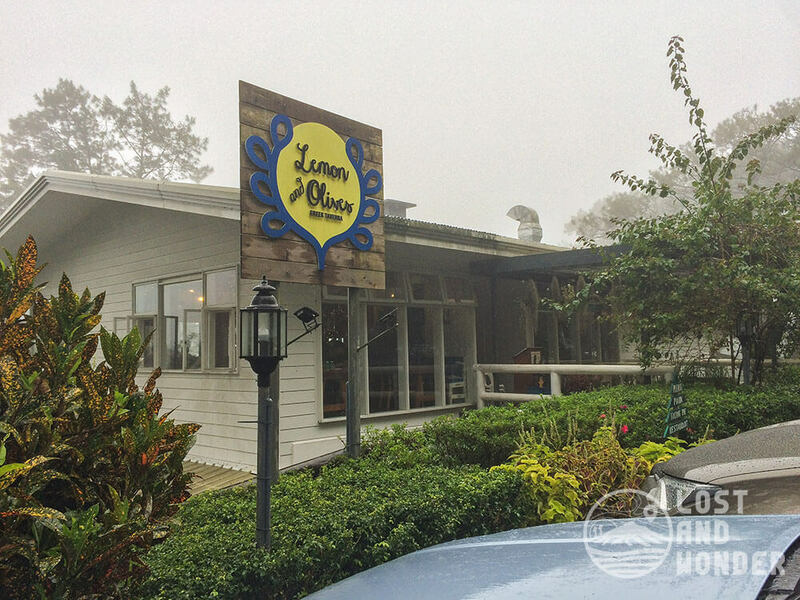 Just a few blocks from La Trinidad Strawberry Farm is the Calajo Restaurant. This restaurant is popular in La Trinidad and it’s ran by Danny and Eunice Wong. 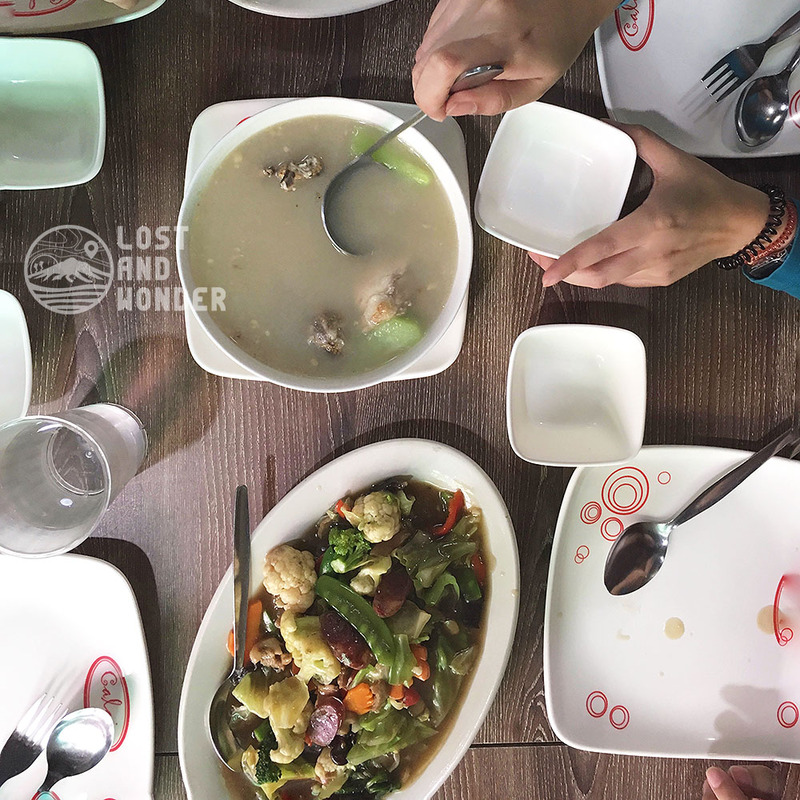 It started as a small eatery in the 1980s and grown into a restaurant known for its delicious Filipino dishes and Cordilleran cuisine. 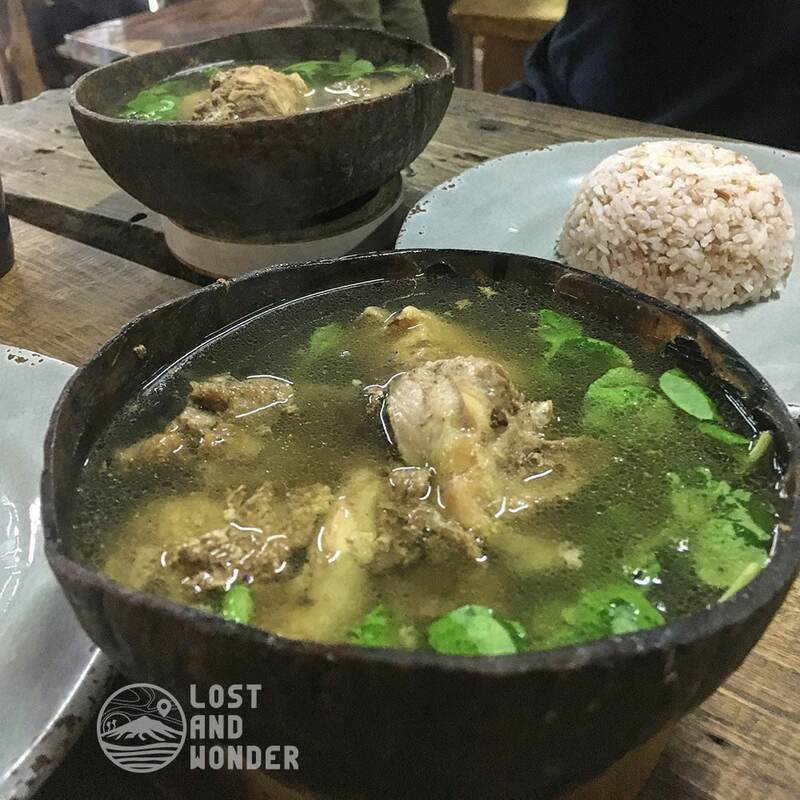 We recommend their saucy chopseuy and chicken pinikpikan, a native Cordilleran dish made of bruised chicken and vegetables. Try visiting this restaurant after your short tour in the luscious strawberry farms. 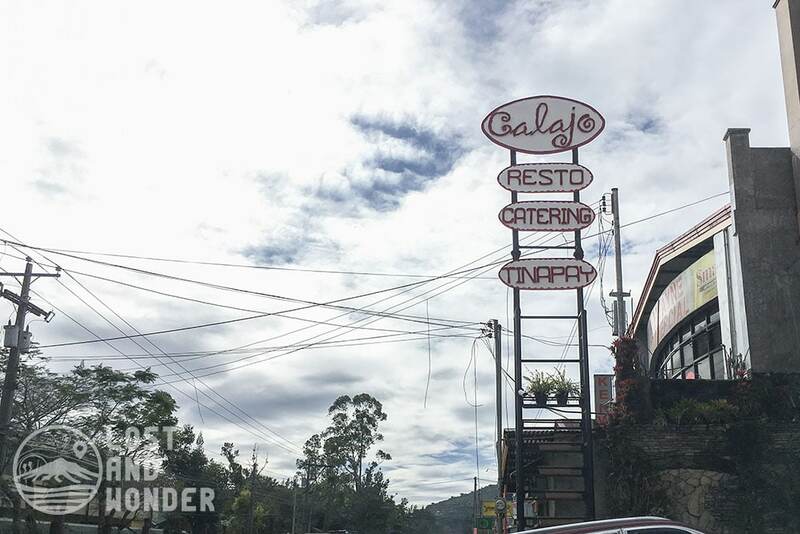 Calajo Restaurant is located at Km4, Halsema Highway, La Trinidad, Benguet, Philippines, and they are open everyday from 9:00 AM to 7:00 PM. Click here to go back to the top. How to go to Calajo Restaurant via Jeep? Go to La Trinidad Jeepney Station located in front of Baguio City Hall. Ride a jeep bound to La Trinidad and alight in Calajo Restaurant. Fare is PHP 9.00. 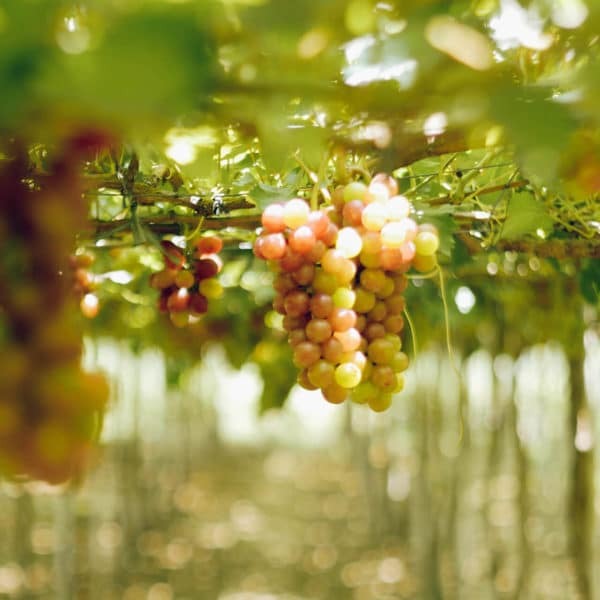 The restaurant is located a few meters away from the popular La Trinidad Strawberry Farm. 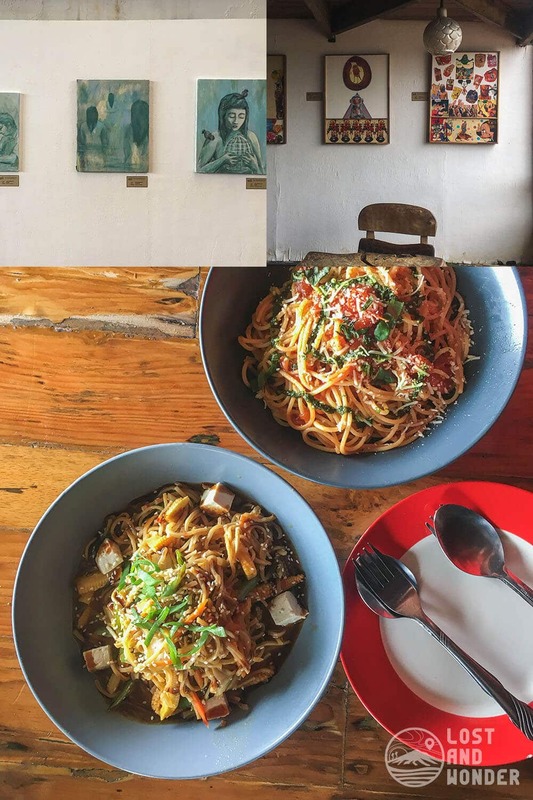 After letting your eyes awash with beautiful paintings and artworks in BenCab Museum, it’s time to treat yourself with fresh and organic dishes in Cafe Sabel. This food place is located at the ground floor of the popular museum, with a bonus view of their enchanting garden. Cafe Sabel’s relaxing atmosphere will make you enjoy good food while indulging with the beauty of nature. Farm Fresh Green Salad + Strawberry Vinaigrette and BenCab’s Chicken Paprika. It is nice to know that the ingredients in every meal came from their own farm; freshly produced and picked on the same day; for quality and optimal flavor. 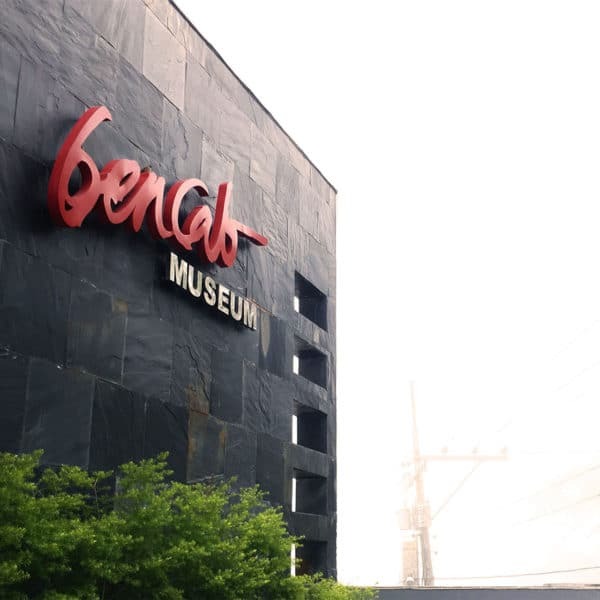 We recommend BenCab’s Chicken Paprika and Farm Fresh Green Salad with Strawberry Vinaigrette. The strawberry vinaigrette produces a flavorful explosion in an ordinary salad; giving it a special twist. 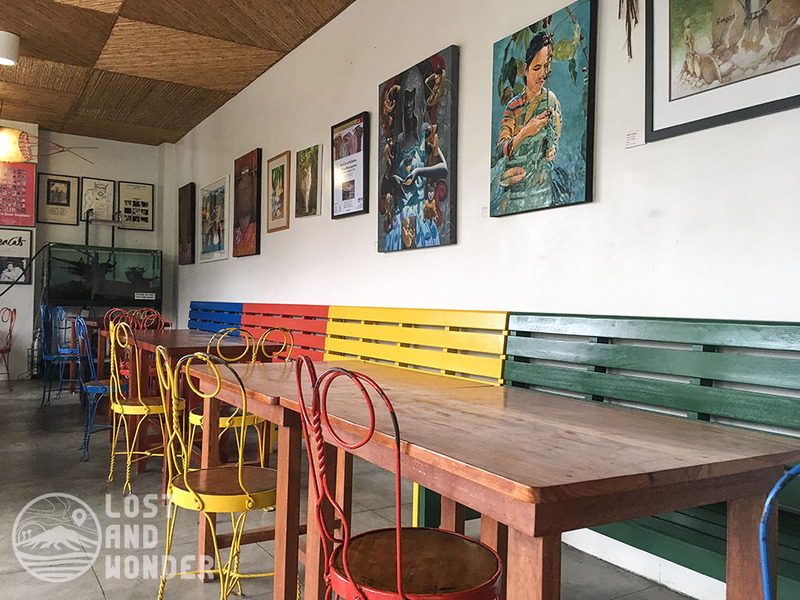 Cafe Sabel is located at the ground level of BenCab Museum, Km 6, Asin Road, Tuba, Benguet, Philippines, and they are open every Tuesday to Sunday from 9AM to 6PM only. Click here to go back to the top. 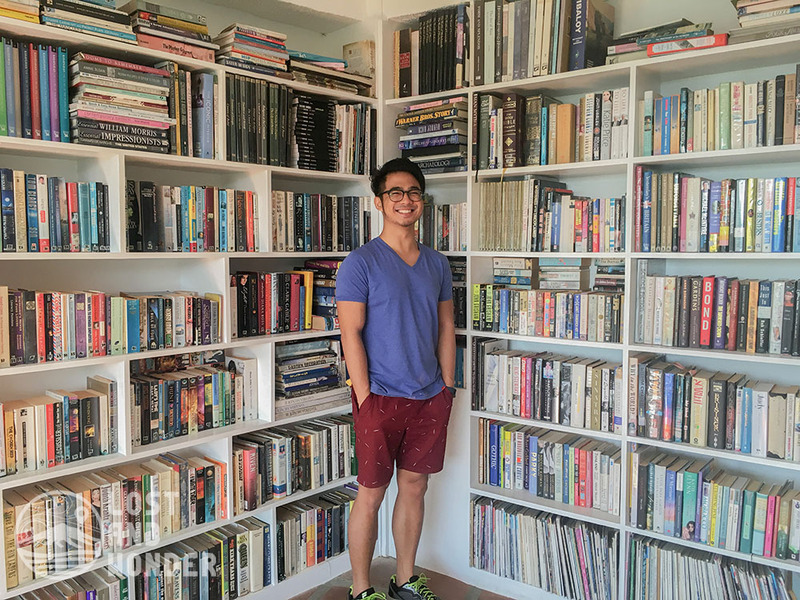 Read more about our memorable experience at Cafe Sabel here. 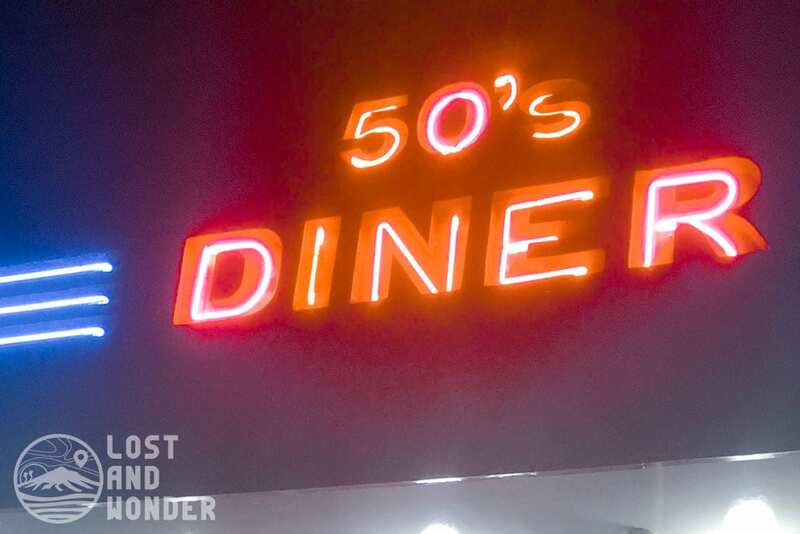 If you want to go back in time, then let’s travel to the 50s and enjoy American cuisine with a touch of Filipino at Glenn’s 50s Diner. Located along Military Cutoff Road, this food place is a crowd’s favorite. With large servings and affordable price, who will hate this playful diner? 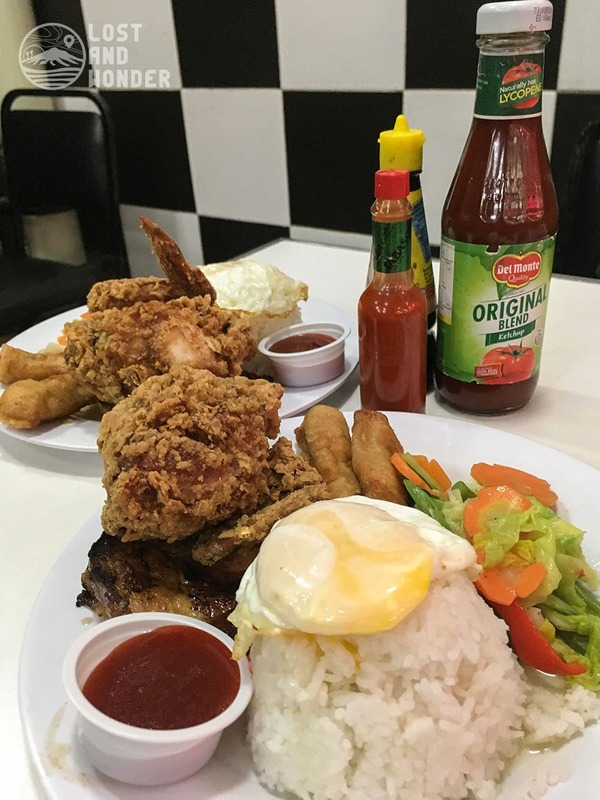 We always eat in this place everytime we go to Baguio, and our all time favorite dish is their Gangsta-gangsta – a plate loaded with pork chop, fried chicken, spring rolls, vegetables, and rice topped with fried egg. Yes it’s a mouthful, but this gargantuan only costs PHP 170! Click here to go back to the top. 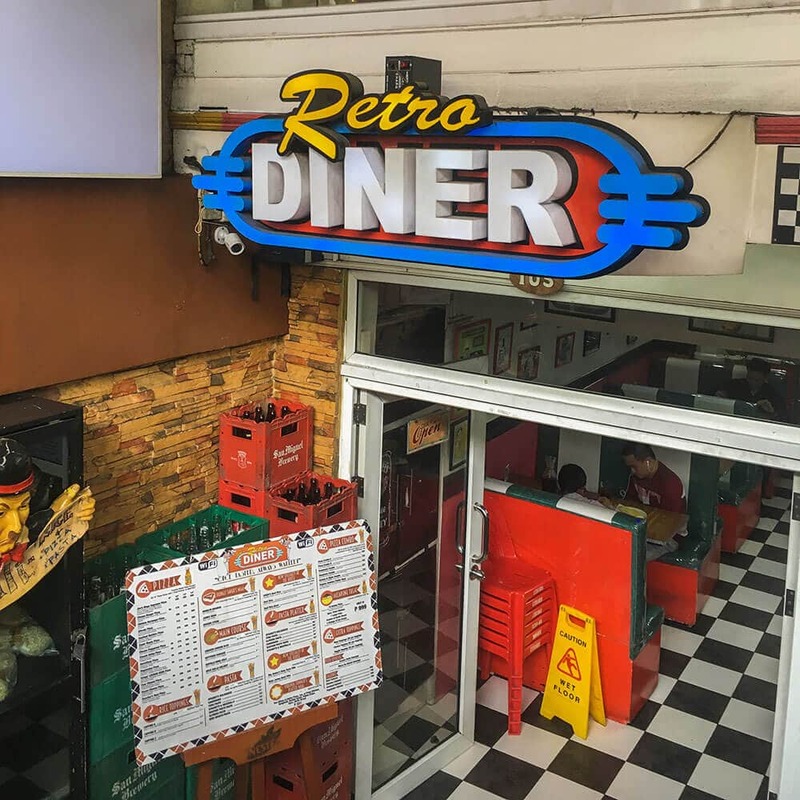 Glenn’s 50s Diner can be found at 166 Military Cutoff Road, Baguio City, Benguet, Philippines, and they are open every 7:00 AM to 10:30 PM. 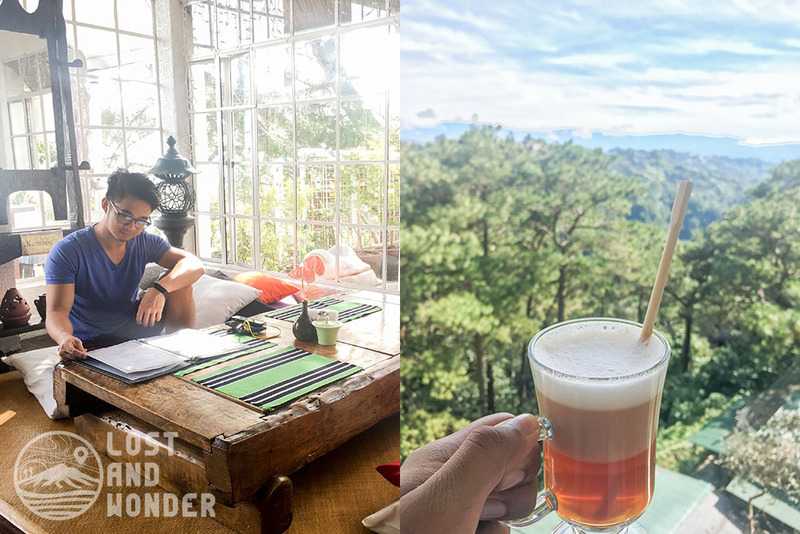 Your Baguio trip will never be complete without tasting the best crafted beers in the city. 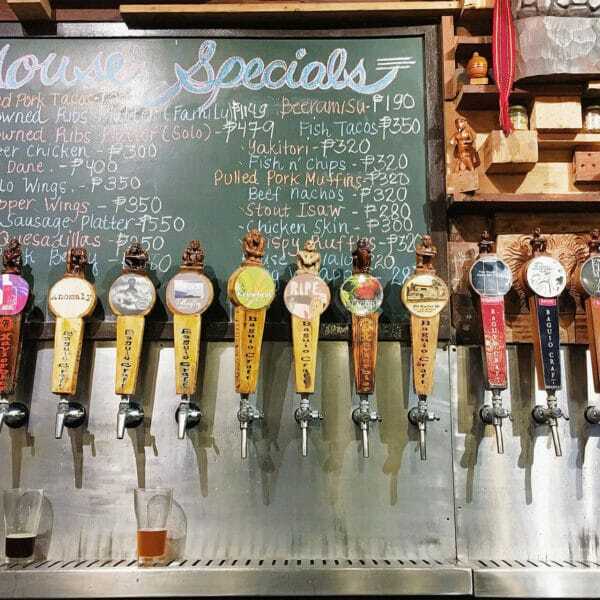 Looking for a good place to chill at night, then go to Baguio Craft Brewery. Upon entering the place, you will immediately noticed their uniquely designed beer taps at the centerpiece. Each faucet contains different crafted beers with a touch of both local and international flavors. You can also ask for a free taste before ordering your desired drink. I would recommend their fruit beers which has the right combination of sweet and bitter taste. If you want to go “ale the way”, then go for the triple hopped beer. Click here to go back to the top. 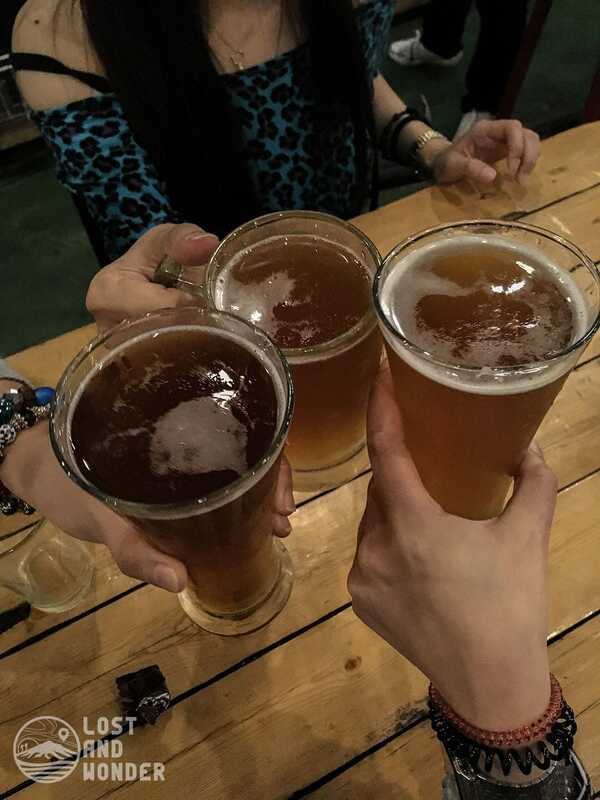 Baguio Craft Brewery is located at 4 Ben Palispis Hwy, KM 4, Baguio City, and they are open everyday from 5:00 PM to 1:00 AM. 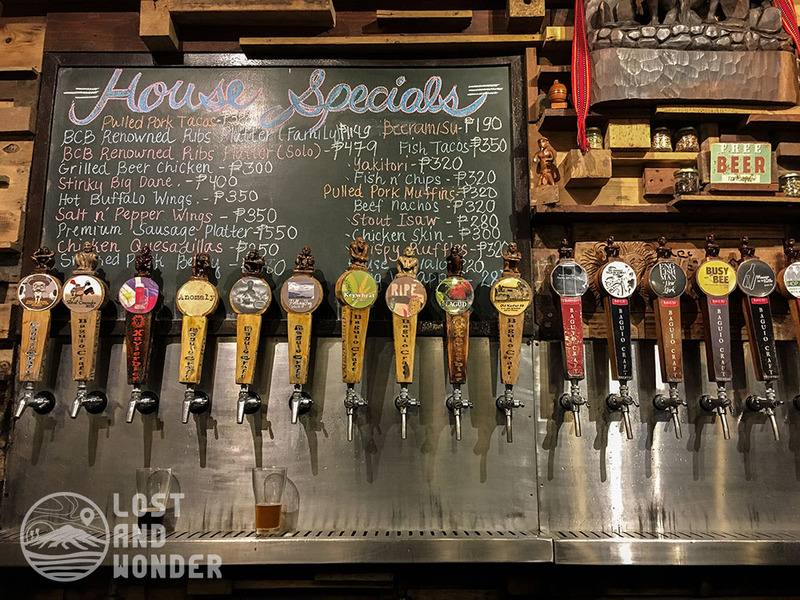 Check out the full story of our experience in Baguio Craft Brewery here. 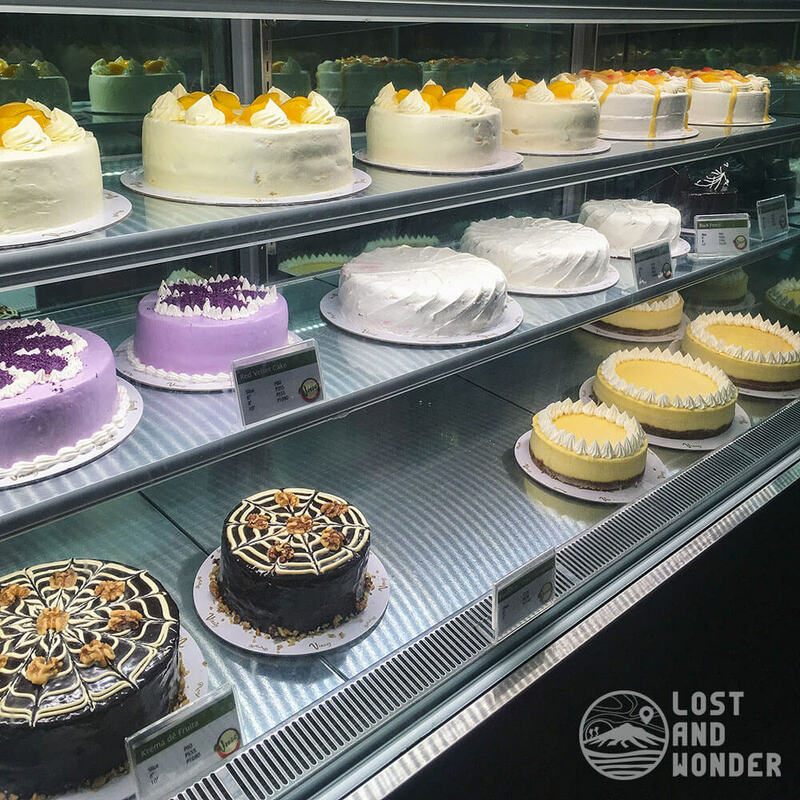 Located along Session Road of Baguio City, Tea House Restaurant and Bakeshop is known for its baked products which served thousands of local customers for many years. It is said that every kid in Baguio had at least one birthday cake from Tea House Restaurant. 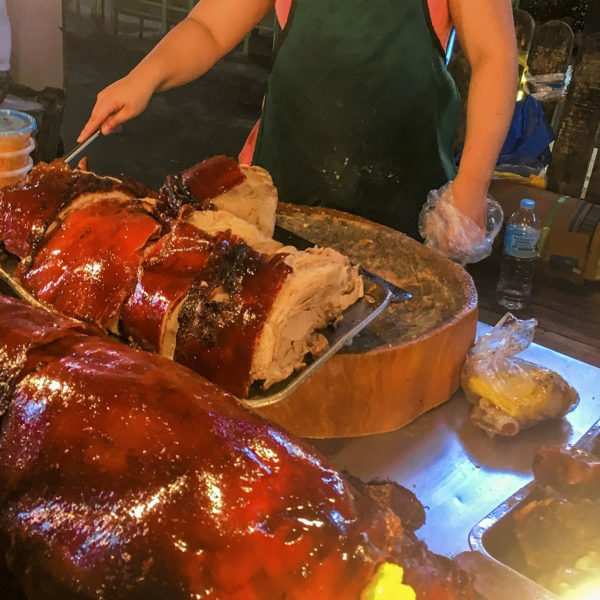 Aside from baked goodies, they also offer the usual mix of Filipino and Chinese cuisine such as chopseuy (mixed vegetables with pork, chicken or seafoods) and pancit (noodle dish). Similar to the other restaurants in the city, their servings are always huge and the prices are really affordable. We recommend their pancit canton-bihon, and chicken with vegetables. Click here to go back to the top. 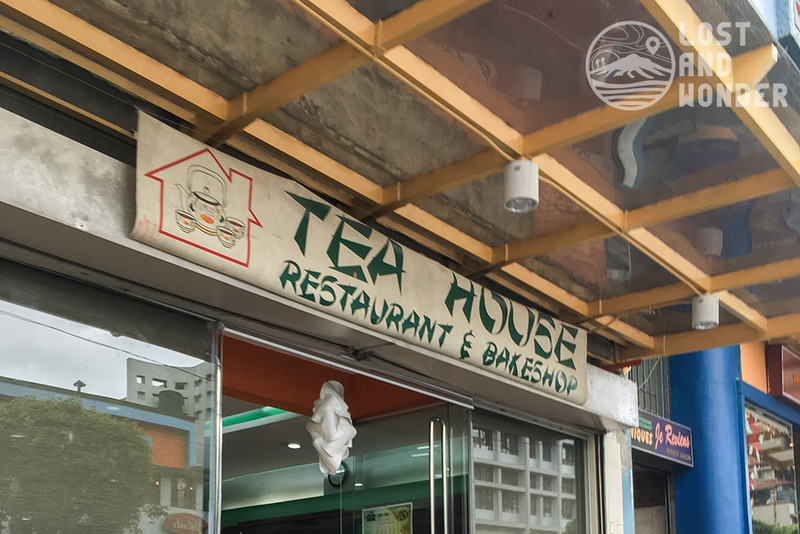 Tea House Restaurant and Bakeshop is located along Session Road in Baguio City, and they are open everyday from 9:00 AM to 8:00 PM. Travelers will surely love the cozy atmosphere of Arca’s Yard, ideal for the quiet time everyone is wishing for. 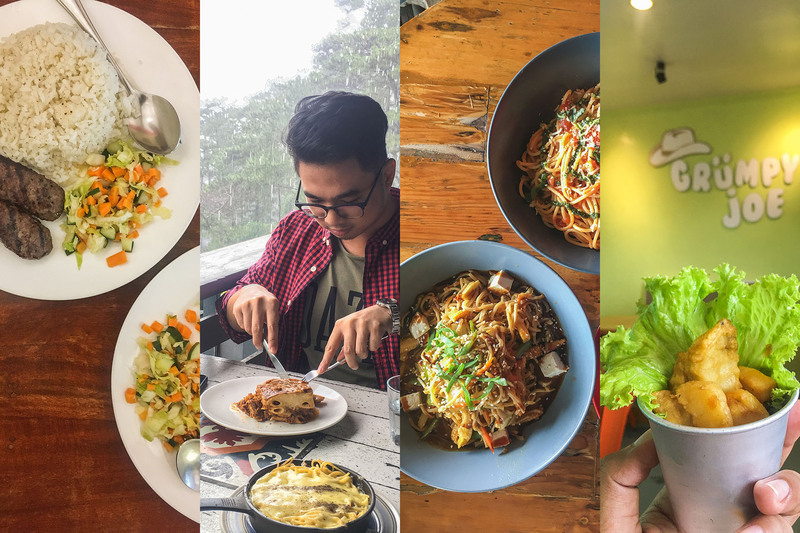 Located along Ambuklao Road in Baguio City, Arca’s Yard has a wide variety of meals on their menu; ranging from pastas, rice meals, breads, pies, salads, and hot and cold beverages. Aside from their different food choices, travelers will surely love its relaxing environment. We went here only for a quick break and we ordered their best-selling Arca’s Cloud Tea and hot chocolate. 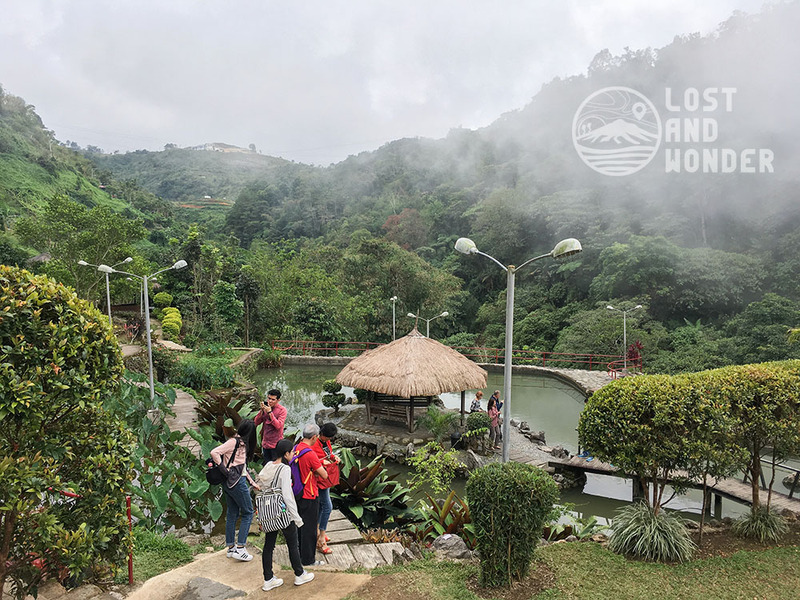 Arca’s Yard Cafe is located at 777 Tiptop City Limit, Ambuklao Road, Baguio City, Philippines, 2600, and they are open everyday from 9:00 AM to 8:00 PM. Click here to go back to the top. How to go to Arca’s Yard via Jeep? 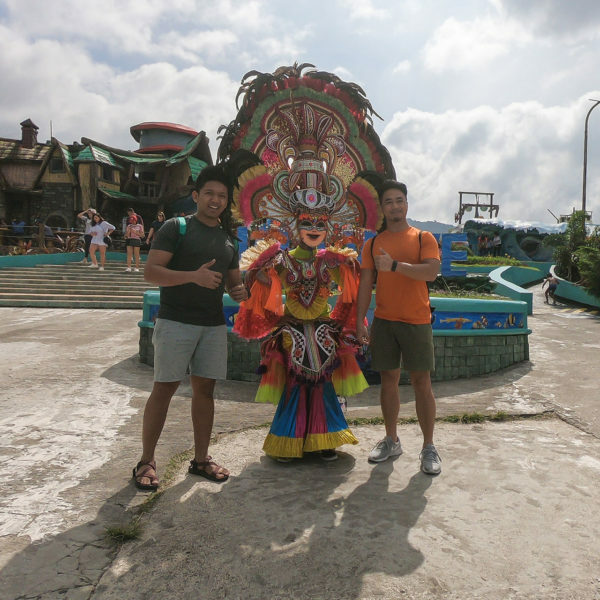 Go to Dangwa Terminal (near the public market, behind Baguio Central Mall) and take a jeepney ride heading to Tiptop. Drop off will be at Arca’s Yard directly. You will surely love Arca’s Yard’s cozy atmosphere, check it out here. There’s nothing really special about the meals offered in Cafe in the Sky. 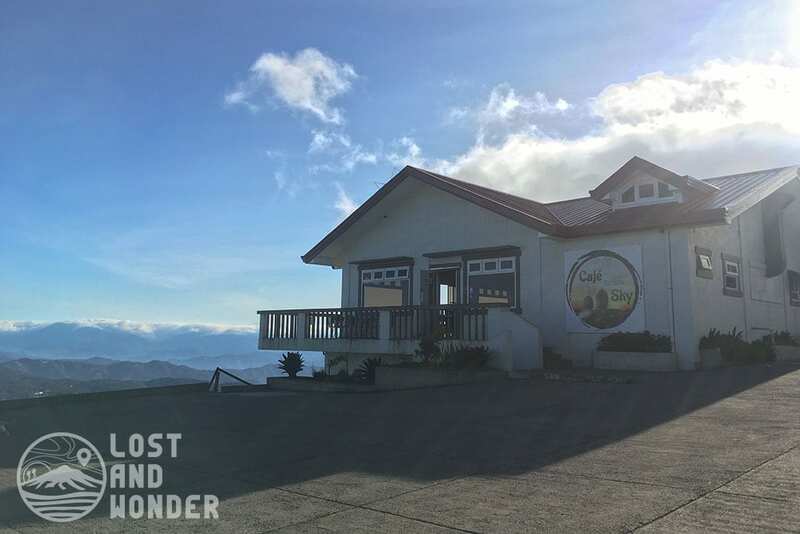 What’s unique in this cafe is the experience itself of enjoying a cup of hot beverage while viewing the panorama of Baguio City at 6,500 feet. Cafe in the Sky is seated on top of Mt. Cabuyao along Sto. Tomas Road. Its high altitude location made this food place a tourist attraction. Although this place is difficult to visit due to governmental restrictions around this place, it is still a worthy place to visit. Cafe in the Sky serves mostly Filipino dish, and the price is a bit pricey since only a few people can visit this place. Check out our travel guide and experience in Cafe in the Sky by clicking here. 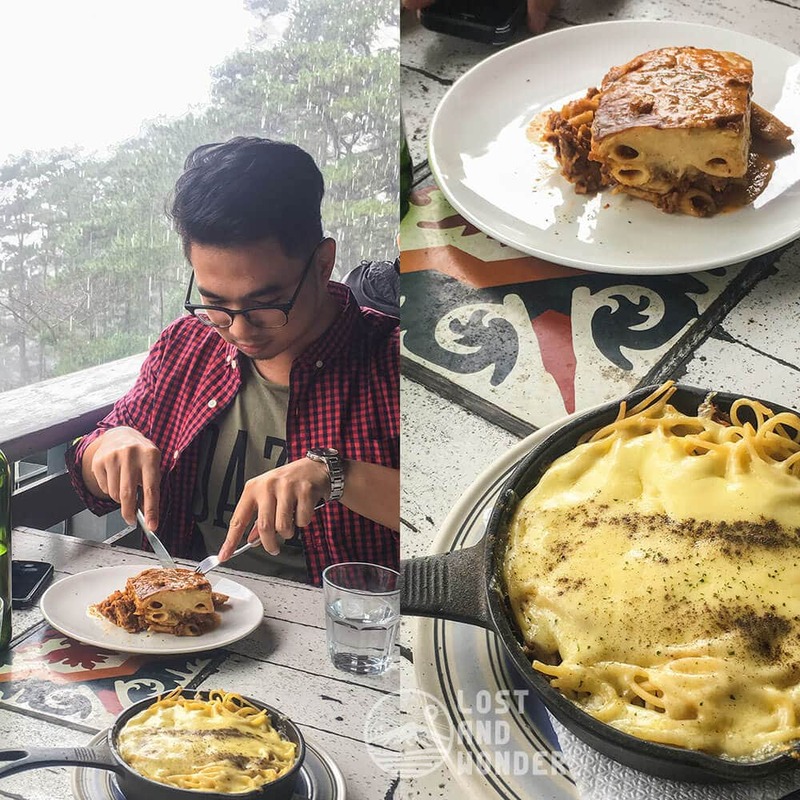 If you’re looking for a unique Cordilleran experience, then Farmer’s Daughter Restaurant is the perfect place to go. 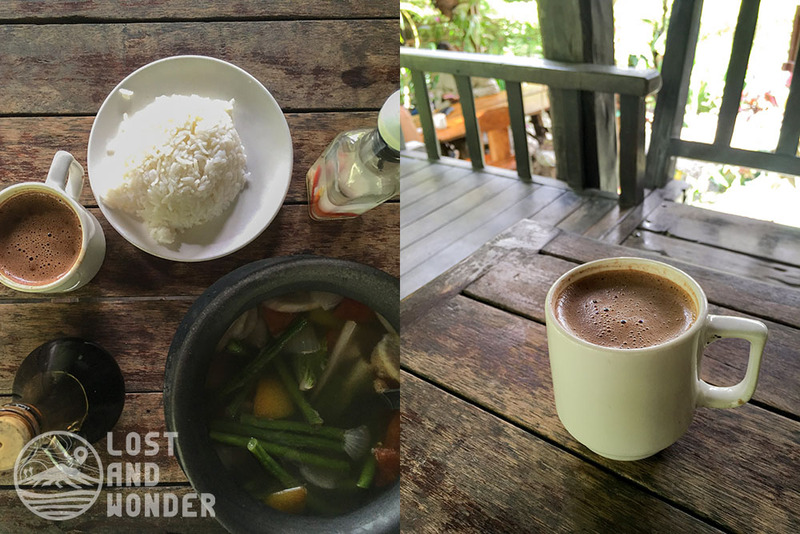 Just beside the Tam-Awan Village, this food place is home for delicious and affordable native Igorot cuisine. The restaurant itself looks like a nipa hut similar to common houses across different tribes in the mountains of Cordillera. 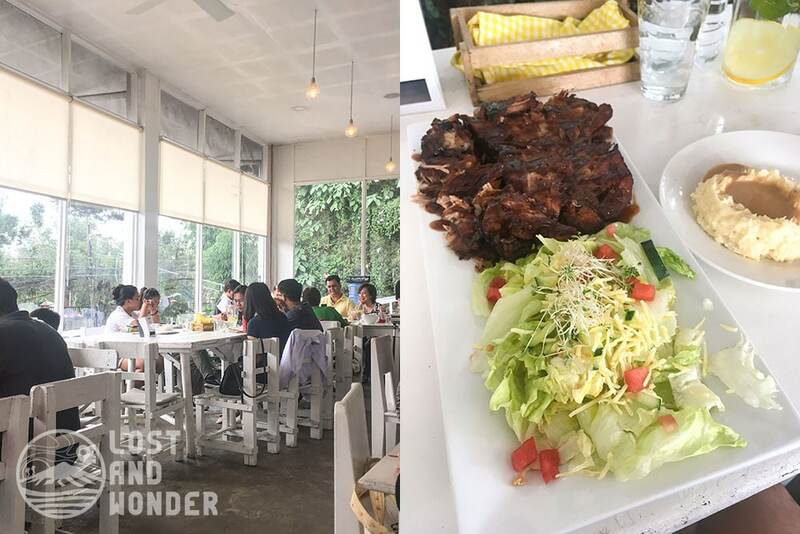 Farmer’s Daughter Restaurant offers large servings of pure Cordilleran goodness, like smoked beef, pork, and chicken, at an affordable price. Each meal is partnered with generous amount of vegetables; you will never fall short of various greens in every dish. 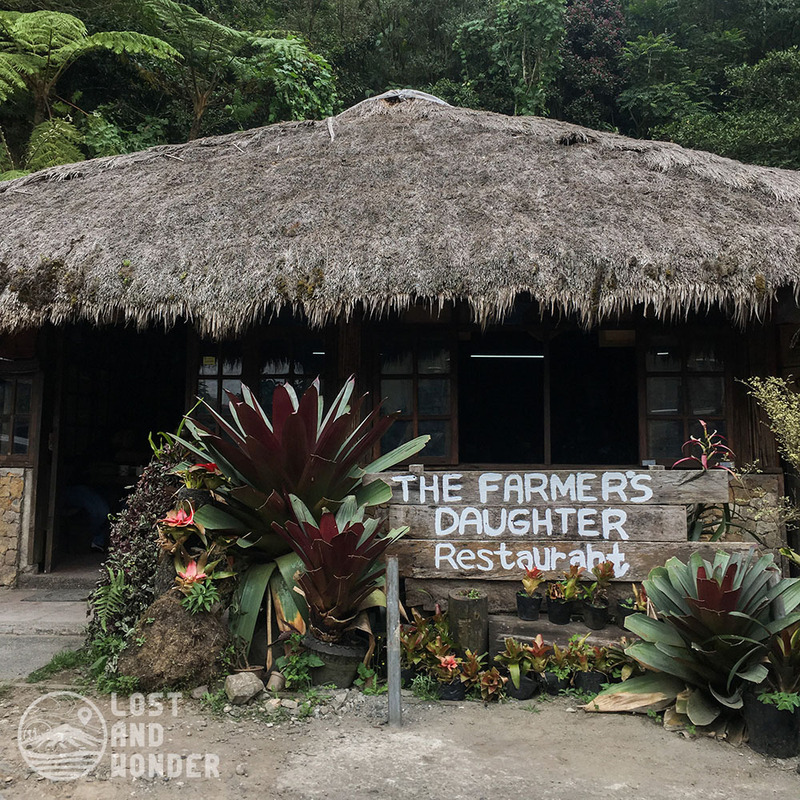 Farmer’s Daughter Restaurant is located at Long Long, Benguet Rd, Awan Village, Baguio, Benguet, Philippines, 2601, and opens everyday from 9AM to 8PM (Sundays: 9AM to 3PM). For inquiries, you can contact them at +63 74 428 1253. How to go to farmer’s Daughter Restaurant via Jeep? Go to the Jeepney Terminal in Kayang Street and take a jeep bound to Long Long or Tam-awan. Inform the driver that you will alight in Tam-awan Village. Fare is PHP 9.00 Click here to go back to the top. 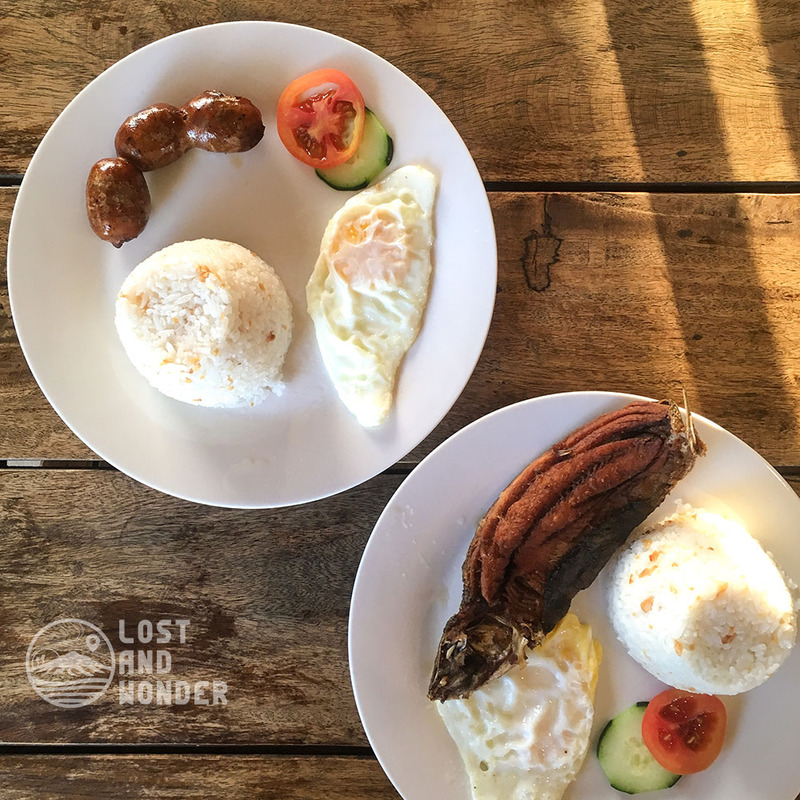 After your tour in Tam-awan Village, try Farmer’s Daughter Restaurant, check out the full story here. Choco-late De Batirol is one of the most decorated and recognized restaurants in the country. 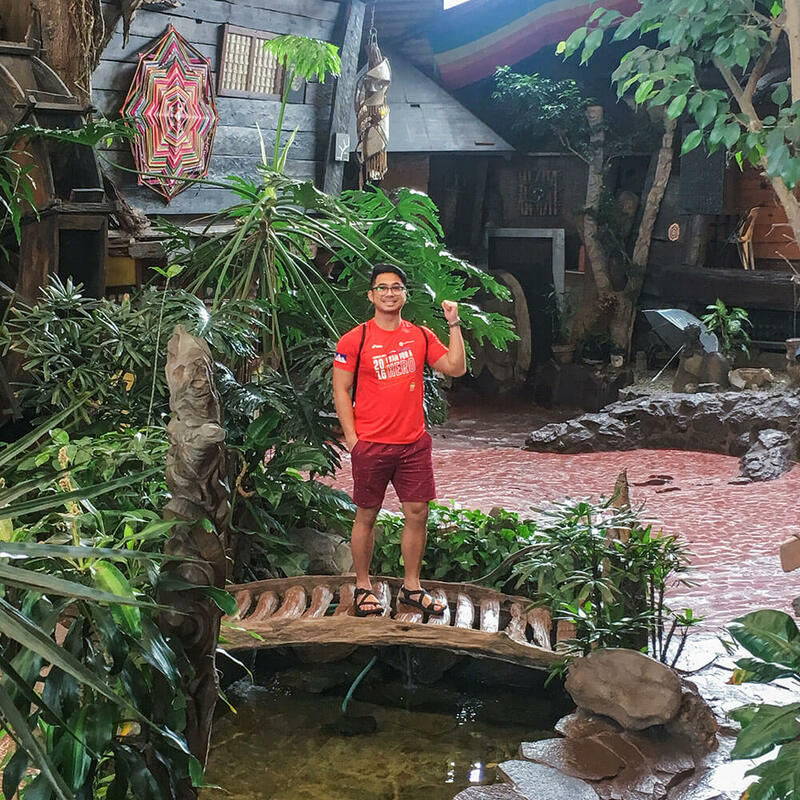 The restaurant is located inside Camp John Hay and its design is rich in foliage showcasing their advocacy in preserving nature and Filipino Culture. 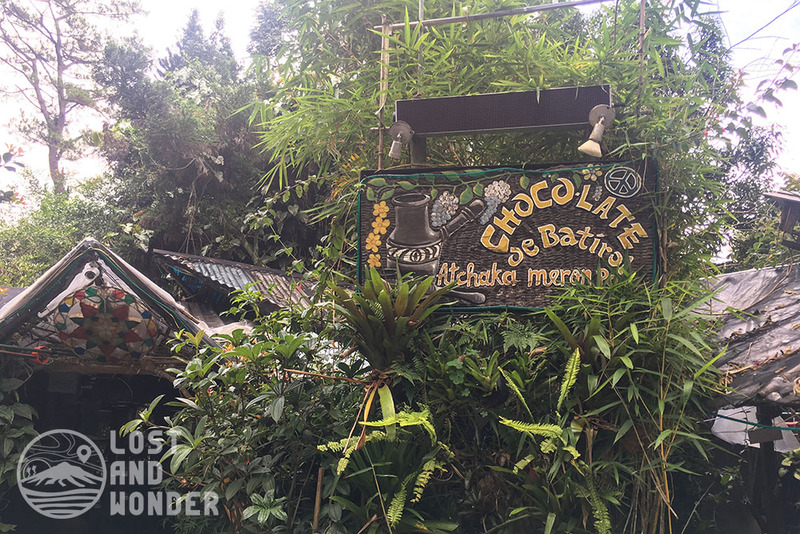 If you’re planning to visit Baguio City then you should never miss their unique traditional chocolate drink. Their chocolate concoction follows a traditional process passed through generations. Its consistency is thick, the texture is grainy due to crushed cacao beans, and the flavor has the right balance of bitter and sweet. I’m not a fan of sugary drinks, but their chocolate drink is just perfect. You can also try other varieties of their chocolate drink like the Baguio Blend which has a twist of strawberry in it; for added sweetness. Aside from their traditional chocolate, they also offer common Filipino food like sinigang, sarciado, caldereta, and dinuguan. Choco-late de Batirol has 4 branches around Luzon Island. Their famous branch is located at Igorot Park of Camp John Hay, Baguio City. Click here to go back to the top. Feeling grumpy for being hungry? Why not try Grumpy Joe and let your spirits be lifted. The peculiar name came from the usual expression of the owner’s parents. 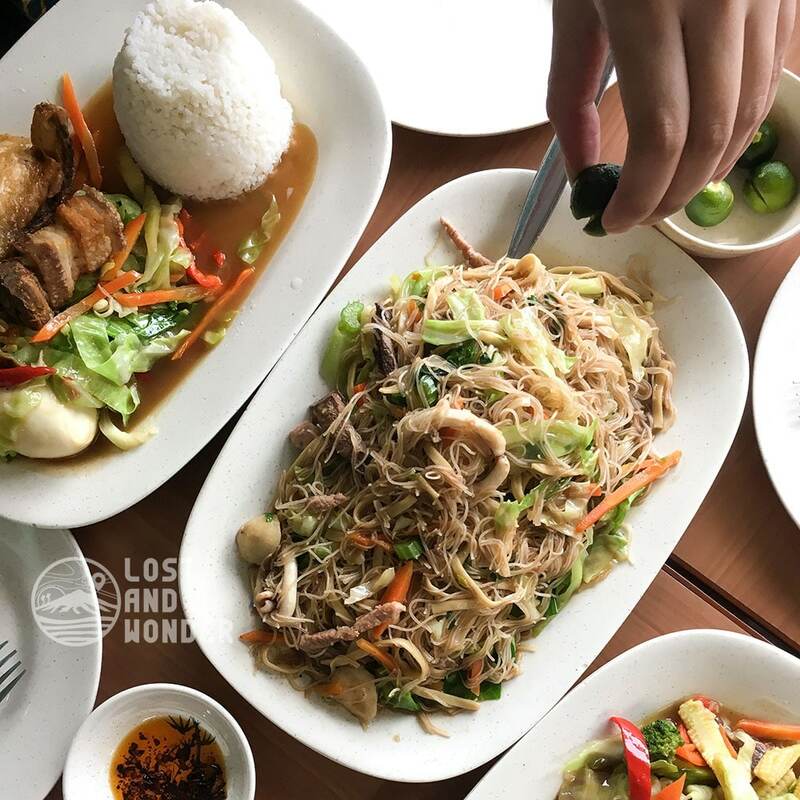 Nevertheless, this small restaurant offers a mix of Filipino and American cuisine at large servings and affordable price. Grumpy Joe’s Special Burger with Potato Fries and Salad. 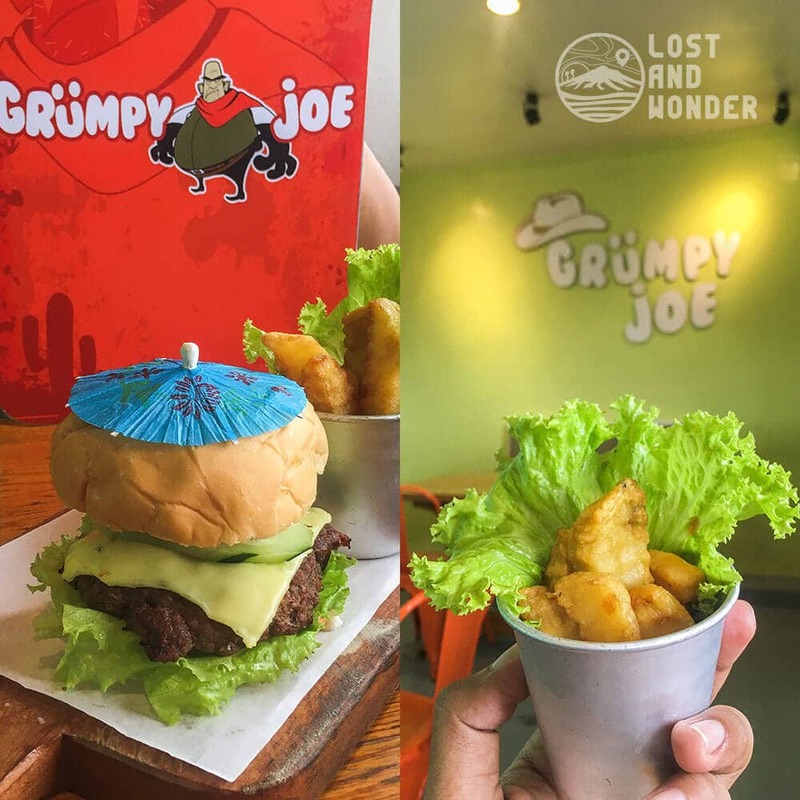 We recommend their Grumpy Joe Special Burger. It’s paired with potato fries and salad, and you will surely enjoy its flavorful patty. That fries though, is one of the best fries we’ve tried. Grumpy Joe is located in Leonard Wood Road a few blocks away from Victory Liner Bus Station. They are open daily from 10AM to 9PM. Click here to go back to the top. Do you like Kebabs? Then head on to Habibis Grill. We love their Chicken and Beef Kebab smothered in their special garlic and hot sauce. The sauce complements their kebab very well and it’s also partnered with fresh vegetables for an added nutrient boost! Beef and Chicken Kebab – Habibi’s Grill. 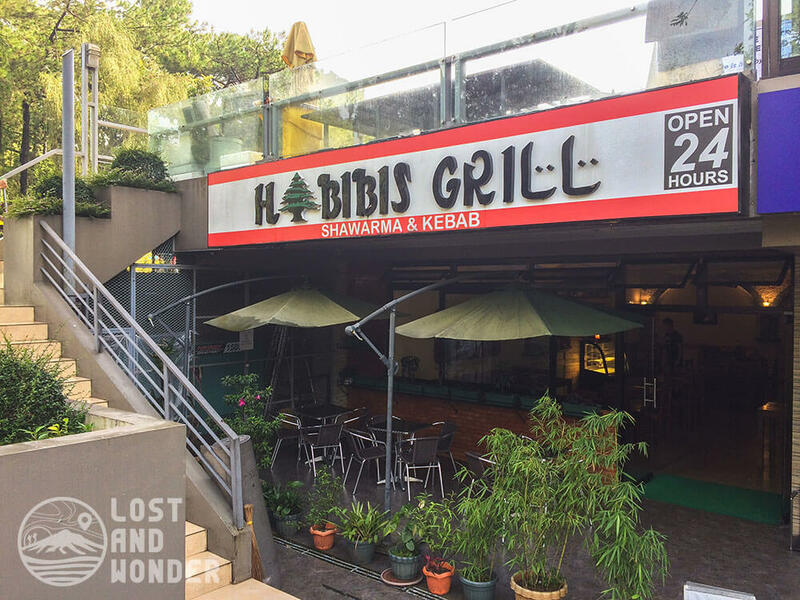 Habibi’s Grill is in Shuntug Street Corner F. Bautista Drive just besides Travelite Hotel. If you’re looking for Arabic and Mediterranean Dishes in Baguio, then this is the right restaurant to go to. Click here to go back to the top. 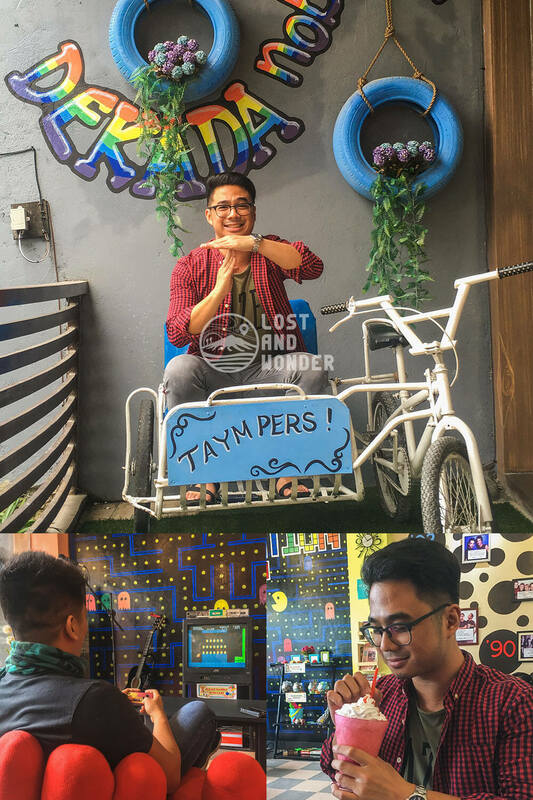 To all 90’s babies out there, have a good time and visit this playful cafe in Leonard Wood Road. 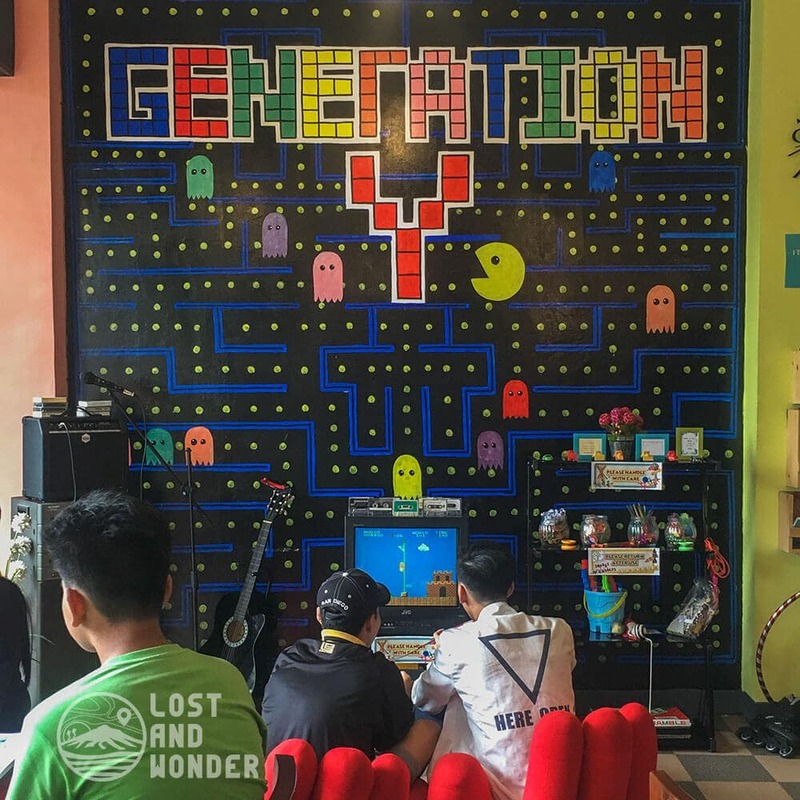 Generation Y Cafe not just offers cold drinks and meals, but they also offer a handful of activities that all our 90’s folks will surely love. Let’s time travel to the 90’s era! You can eat and drink while playing board games! They also have the Classic Family Computer! It’s a good vibe place for everyone of any generation. 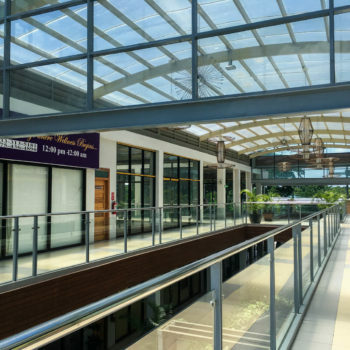 Generation Y Café is located at 3rd Floor of Leonard Wood Terraces (beside PhilHealth Building), Leonard Wood Road in Baguio City. They are open everyday from 11:00 AM to 8:30 PM. Click here to go back to the top. Microtel Baguio is offering breakfast buffet in their Te Quiero Tapas Bar and Restaurant. We enjoyed breakfast buffet in this place as part of its complementary package for guests. 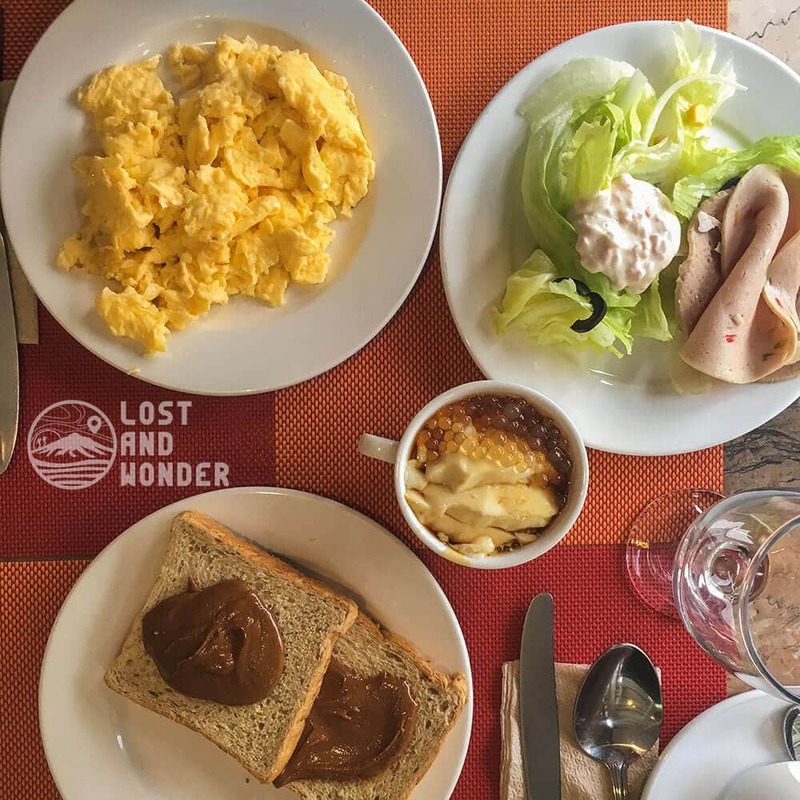 For outside visitors, the breakfast buffet costs PHP 250/head and you’ll have access to smorgasbord of energizing dishes. Te Quiero Tapas Bar and Restaurant is located just besides Microtel and Victory Liner Bus Station in Baguio City. Click here to go back to the top. Like 50s Diner, Jim’s Retro Diner also offers an American 50s vibe. It’s another feat in Session Road and its position is quite discreet. You’ll only noticed its classic signage peeking along the sidewalk. 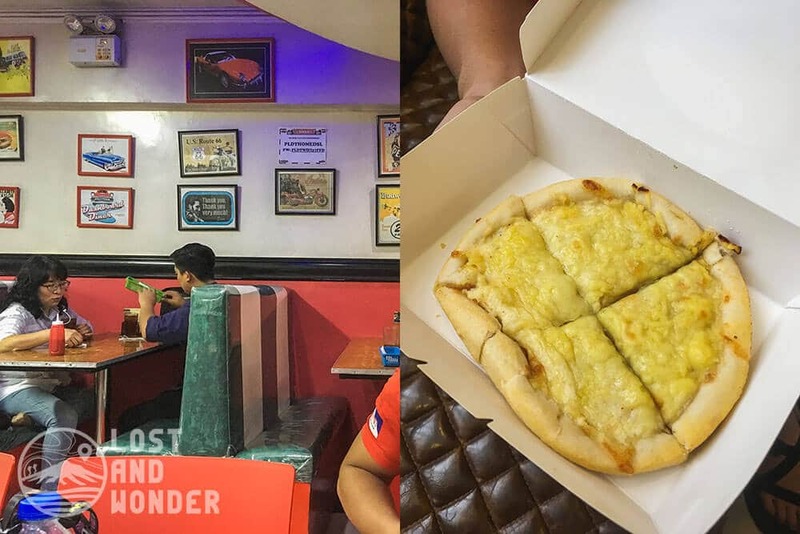 Jim’s Retro Diner offers the usual American and Filipino dishes and its bestseller is their Four Cheese Pizza. At first bite, its flavors exploded in my mouth and the combination of different cheeses is the real winner here. Click here to go back to the top. Satisfy your sweet tooth cravings at Vizco’s Restaurant and Bakeshop located in the busy Session Road. Its best-seller here is their blueberry cheesecake; it’s creamy and not too sweet. They also offer a mix of Oriental and Western Cuisine and it’s packed with all-day set meals. Click here to go back to the top. Another home for Mediterranean Dishes is the Lemon and Olives Restaurant. 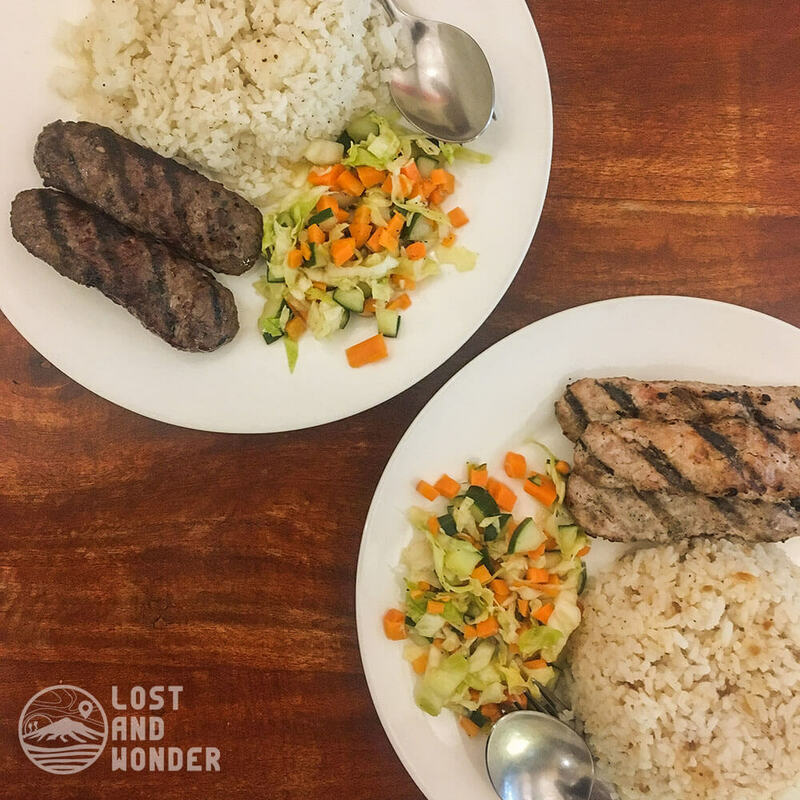 This is the first Greek Restaurant in Baguio City and you’ll enjoy its recipes while savoring its rustic vibe. It also has a balcony overlooking the view of mountain ranges and pine trees. Delicious Greek Recipes only here in Lemon and Olives Baguio City. We recommend their Pastitsio; a plate of authentic Greek Pasta baked with sweet and sour Bechamel sauce and ground beef. If you love cheese, their Greek Style Spaghetti is a sure win! The pasta is topped with melted mozzarella cheese with beef sirloin and red sauce. Lemon and Olives is located in #26 Outlook Drive Baguio City. They are open every day from 11:00 AM to 10:00 PM. Click here to go back to the top. Oh My Gulay is another prime spot in Session Road. 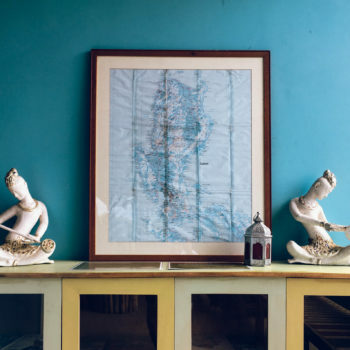 It’s not just a restaurant, it’s also an art place! Different woodwork and foliage decorate this place and you’ll never thought you are in a restaurant. The place is simply astonishing! The highly recommended Brotsa ni Antonio Luna and Pansit Gulay ni Pepe. 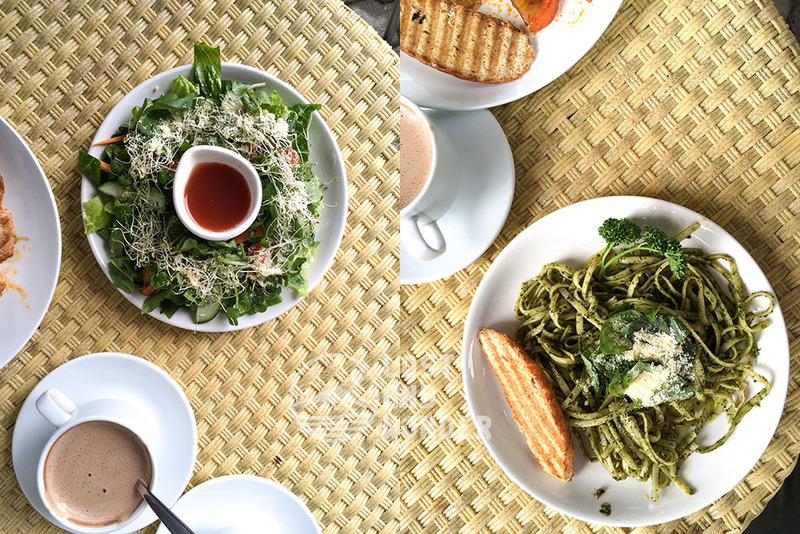 We recommend their Brotsa ni Antonio Luna (Pesto Pasta with Homemade Sauce) and Pansit Gulay ni Pepe! The names of their dishes are quite funny, but the taste is truly palatable! Oh My Gulay is located at 5th Floor of La Azotea Building in Session Road just across Baguio Cathedral. They are open daily from 11:00 AM to 7:00 PM (Sunday and Monday), 11:00 AM to 8:00 PM (Tuesday to Thursday), and 11:00 AM to 9:00 PM (Friday and Saturday). Click here to go back to the top. Last but not the least is Pet’s Bulalohan. It’s a small eatery in Governor Pack Road right in front of the bus station. Their place is petite which can accommodate only around 20 people and the queue outside is long. It’s a popular food place known for their signature bulalo (Philippine beef dish made with beef shanks and marrow bones). Signature Bulalo and Pork Sisig! 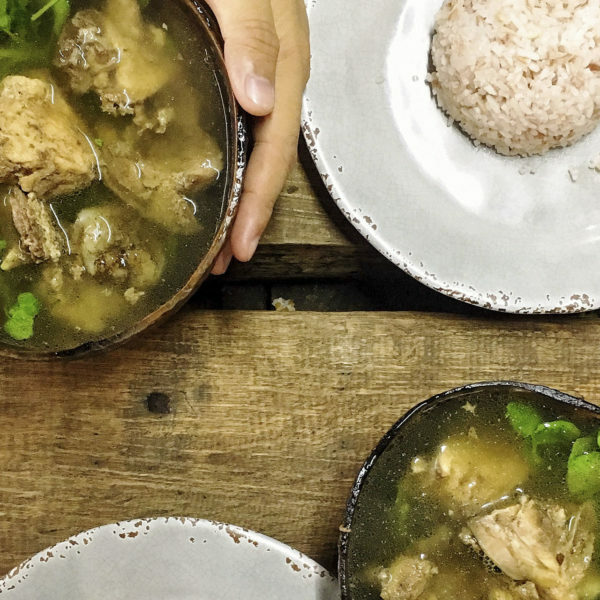 We tried their bulalo and it’s amazing; it’s fatty and full in flavor. 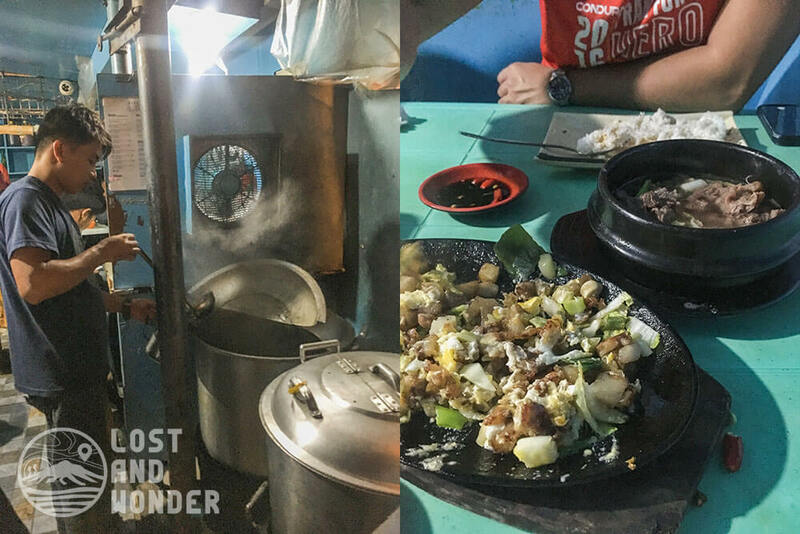 We also partnered it with sizzling sisig (pork dish seasoned with calamansi, onions, and pepper); a great way to fight the cold night in Baguio City. Click here to go back to the top. 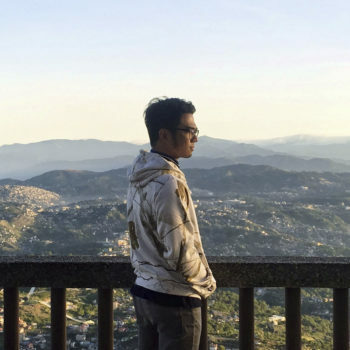 There are a lot of places to eat in Baguio. Their servings are huge and the prices are really affordable. It is a perfect haven especially for the health conscious who preferred fresh and green leafy vegetables. 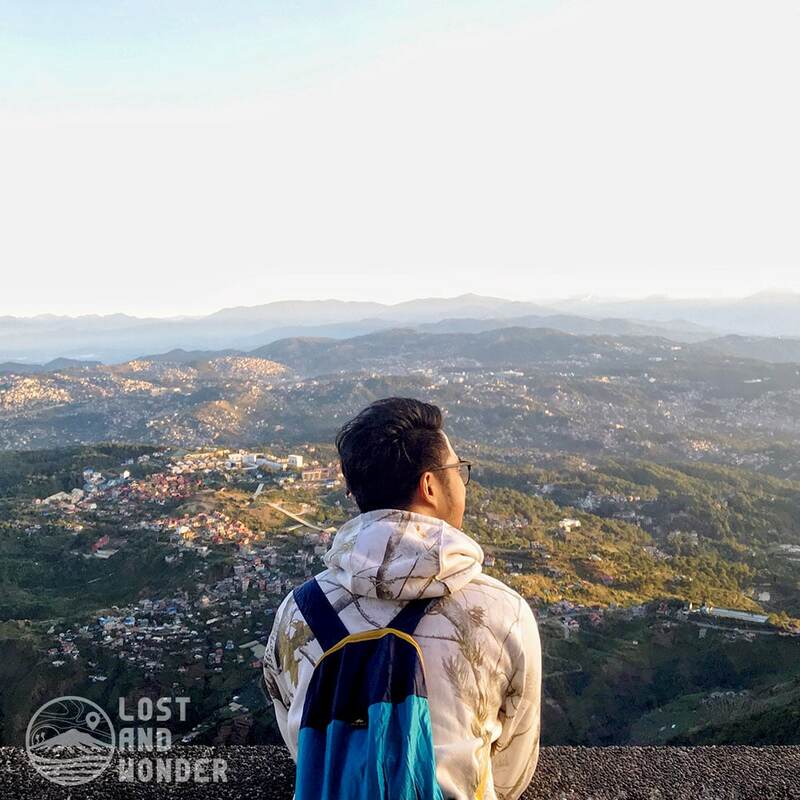 Having a food trip in this city on a mount will surely give you a happy tummy in the end. Tara! 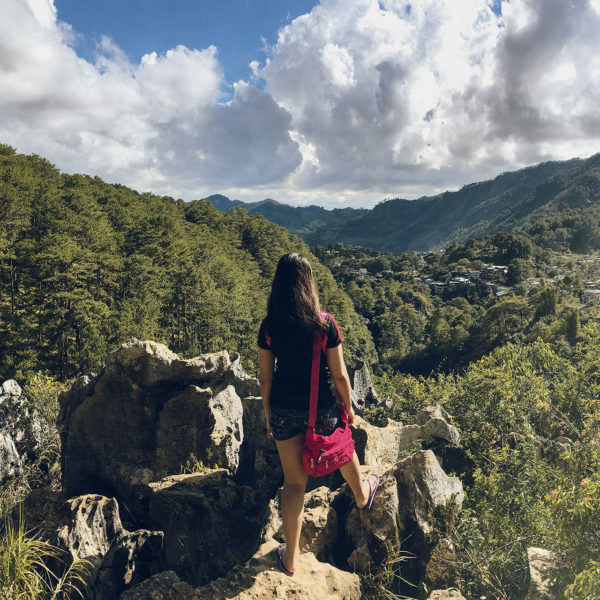 Let’s travel and taste Baguio City! Thank you for sharing! 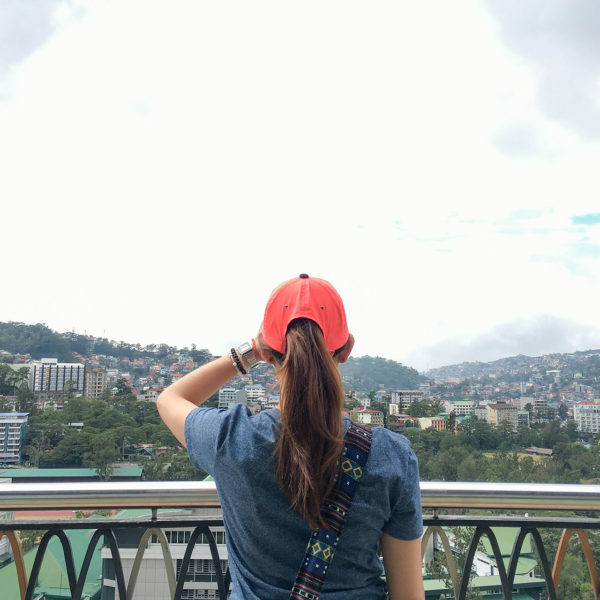 We’re visiting Baguio now and we cant wait to try those restaurants you mentioned. Kudos! Hi Xen! Thank you for visiting our blog. I’m glad to know that you like our content. 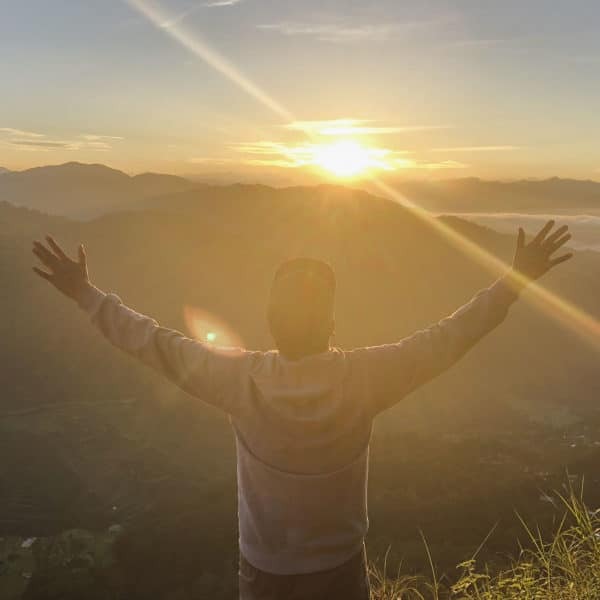 Enjoy your vacation in Baguio City! 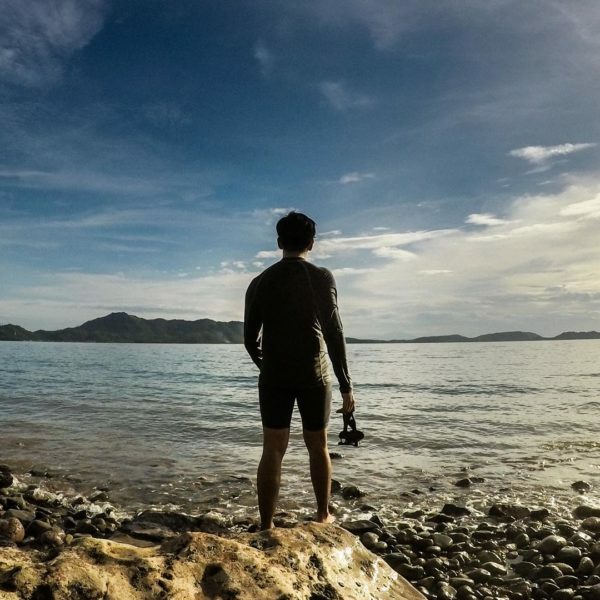 at ang ganda pa ng kuha ng pictures, tsaka maraming tips. I also recommend Manduto Cafe at Pine Ridge Golf & Country Club at Suello Village. Affordable big servings despite its location. Great view of house clad mountains and shrubbery. Wow! That is nice to know Norma, we’ll check these places once we go up in Baguio City soon.